"These are the dark ages, not a patriotic position," Avakov said. Police have instituted criminal proceedings in connection with anti-Semitic slogans made at the nationalist march in Odesa on 2 May, Interior Minister Arsen Avakov has tweeted. "In Ukraine, public anti-Semitic calls are not allowed. Including at mass events, like the one in Odesa yesterday. These are the dark ages, not a patriotic position. 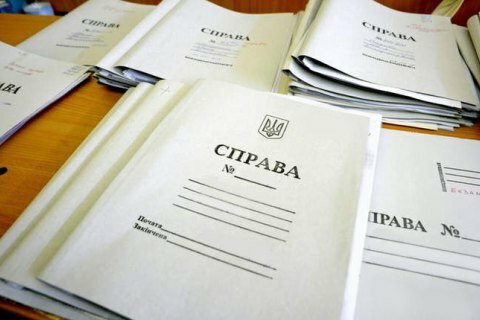 The Odesa police registered the proceedings under Article 161 Part 1 'Violation of the racial, national equality of citizens'," he said. The March of the Ukrainian Order, during which anti-Semitic slogans were heard, took place in Odesa's Central Park on 2 May. It was organized by Freedom, the Right Sector, the National Corps and dedicated to the deadly clashes on 2 May 2014. Speaking to those who gathered in the park, the leader of the Odesa office of the Right Sector, Tetyana Soykina, said: "We believe, we are confident that we will establish Ukrainian order in Odesa and Ukraine. Ukraine will belong to Ukrainians, not Yids, not oligarchs." Soykina's speech was met with an ovation.